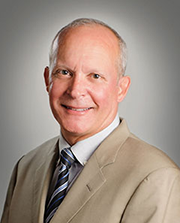 Neil Brown is the founder of and a principal partner in the Norstar Group of Companies and acts as Chairman of the Board for all of the companies within the Group. In his role as Chairman, Mr. Brown oversees the implementation of the Group’s business plans and investment strategies. Mr. Brown founded Norstar in the late 1970s after a long and significant tenure as a senior executive and shareholder of Lake Ontario Steel Company, a division of Co-Steel Inc., one of the world’s largest mini mill steel producers. Since entering the real estate field, Mr. Brown has been involved in the acquisition and development of millions of square feet of office, commercial, industrial and retail space, thousands of single family detached, semi-detached and multi-residential units as well as thousands of affordable housing residences. Mr. Brown has invested in several successful manufacturing businesses and has established the property management and construction companies which are affiliated with and provide service to the Norstar Group of Companies. 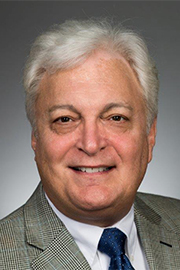 Mr. Brown has successfully steered the Norstar Group of Companies through several recessions and has overseen rapid growth within the Group and year-over-year profitability. Gary B. Silver is a principal partner in the Norstar Group of Companies and is the President of Norstar Canada. In this role, Mr. Silver oversees all planning, development and construction processes for Norstar Canada. Mr. Silver has an extensive background in real estate acquisition, land development, construction and land use planning across Canada and the United States. His experience, combined with formal training in architecture and planning, provides Norstar with unique real estate development leadership advantages that have put the Norstar Group at the forefront of the industry. Mr. Silver leverages a pragmatic approach to business which ensures that Norstar’s new developments will obtain efficient and timely regulatory approval and attain competitive market appeal. Mr. Silver brings particular expertise in the area of medium rise luxury residential condominium development. Mr. Silver’s scrupulous attention to detail and wide-ranging expertise are indispensable assets for all Norstar projects which incorporate cutting-edge technology and materials, energy efficiency and superlative design, assuring long-term project viability and value. As the President of Norstar Development USA, L.P., Mr. Higgins is responsible for overseeing all of the Norstar Group of Companies projects and operations across the United States. Mr. Higgins brings a depth of finance, real estate, land development and construction experience to this role, with a unique combination of both public and private development expertise. Mr. Higgins served as the New York State Housing Commissioner for 2 years from 1988-1990. During his term as Commissioner, Mr. Higgins was responsible for all of New York State’s affordable housing programs. Prior to that, Mr. Higgins was general counsel to the Battery Park City Authority of New York and served as assistant counsel to the New York State Governor in matters of housing, economic development and finance. Prior to joining the Norstar Group of Companies, Mr. Higgins was a partner in the law firm of Roemer and Featherstonehaugh in Albany, New York where he acted as counsel in connection with the development and financing of institutional, commercial and residential projects, specializing in state and federal housing programs, not-for-profit initiatives and community development. Mr. Higgins is a graduate of the University of Michigan and holds a J.D. from the Columbia School of Law, where he served on the Columbia Law Review, one of the most highly recognized Law Reviews within the U.S. legal academic community. 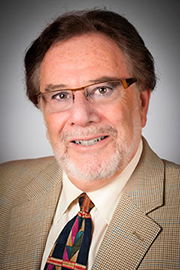 Mr. Higgins has also served on the boards of several not-for-profit housing organizations and has also served as an Adjunct Assistant Professor of Law at Fordham University, New York. Aaron Brown. 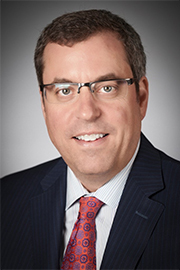 Mr. Brown currently acts as the Executive Vice President for the Norstar Group of Companies. In this role, Mr. Brown oversees all business development and strategic planning for the Group in Canada. He is an integral part of the Executive Management Team, providing visionary guidance to the group of companies towards increased growth and expansion into new industry sectors. Over the last 13 years as Executive Vice President, Aaron has worked on every facet of the group’s business portfolio. Mr. Brown has extensive experience in land acquisition, development and leasing, and has also been involved in the rezoning of various parcels of land for high density residential condominium development. Mr. Brown is responsible for pioneering Norstar’s foray into the renewable energy sector and has successfully established Norstar’s renewable energy business. With the advent of Ontario’s Green Energy and Economy Act and its Feed-in-Tariff (FIT) Program, Mr. Brown saw the opportunity for Norstar to incorporate into its corporate mandate a commitment to green energy and reducing our carbon footprint for future generations. Under Mr. Brown’s leadership, Norstar has established a new company within the group which focuses on the construction and implementation of roof-top solar photovoltaic systems (Solar PV), a reliable and sought after technology for clean and relatively maintenance-free power production. Prior to joining the Norstar Group of Companies in 2000, Mr. Brown had established a successful career in the financial services industry as an Investment Advisor spanning over 12 years. Mr. Brown holds a Bachelor’s Degree from York University and various securities certifications from the Canadian Securities Institute including for Canadian securities, options and futures. 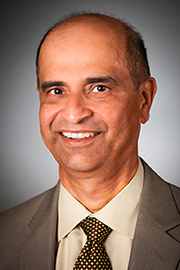 Mr. D’Cruz is the Chief Financial Officer for the Norstar Group of Companies. Mr. D’Cruz joined the Norstar Group of Companies in 1991 in the capacity of Vice President Finance. Prior to this, he was a manager with the firm of Laventhal & Horwath, Chartered Accountants, for a period of 5 years. Mr. D’Cruz obtained his professional chartered accountant designation in London, England. Mr. D’Cruz holds a bachelor degree from the University of London and is a Chartered Accountant; he is a member of the Institute of Chartered Accountants, Ontario, as well as the Institute of Chartered Accountants, England and Wales. 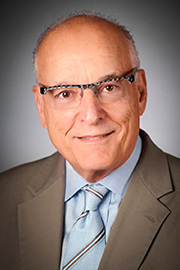 Mr. Nickoloff joined Norstar Building Corporation in 2014, bringing over 30 years of construction management and ever increasing leadership experience. Mr. Nickoloff is responsible for all construction projects in the Norstar portfolio within New York, Michigan, and Alabama. Mr. Nickoloff has extensive experience and success in estimating and bidding projects, establishing project budgets, while also managing the construction process to deliver completed projects on-time and within budgets. His hands-on experience allows him to be an innovative and effective problem solver. Mr. Nickoloff is a graduate of the University of Michigan-Dearborn. He is also a member of the NAHB Association. 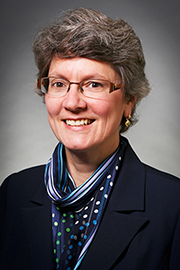 Linda L. Goodman is Norstar Development USA L.P.’s Vice President, Buffalo Office, responsible for projects in New York State, including project proposals, financial applications, and government documentation relating to subsidized and low-income housing developments. Ms. Goodman has over 20 years of real estate experience, 12 of which are with Norstar. She previously worked for a number of affordable housing finance firms in the private sector, including Lend Lease Real Estate Investments (formerly Boston Financial). As a former Vice President with Boston Financial, Ms. Goodman was responsible for originating and evaluating multi-family tax credit investments. Before joining Boston Lend Lease (Boston Financial), Ms. Goodman was a Senior Portfolio Manager with Edison Capital where she managed a portfolio of the Company’s affordable housing investments. Prior to her tenure at Boston Financial, Ms. Goodman worked at Paine Webber Properties, syndicating market rate real estate products. She also provided asset management services in the areas of retail, commercial, and residential properties for Paine Webber. Ms. Goodman is a member of the New York State Homes and Community Renewal (HCR) Multi-Family Advisory Council, which meets with HCR representatives and other industry participants to discuss HCR’s housing policy and how to improve the working relationship between HCR and the development community. Ms. Goodman’s extensive financial, business and project management expertise is essential to Norstar’s project approach. Ms. Goodman is a graduate of Alfred University and received a Masters of Business Administration degree from the Executive MBA program at Suffolk University in Boston, MA. 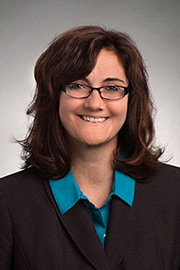 Lori Harris is Norstar Development USA L.P.’s Vice President, Albany Office, responsible for projects in New York and Michigan, including project proposals, financial applications, and government documentation relating to subsidized and low-income housing developments. Ms. Harris brings over 18 years of development and planning experience to Norstar after working for many years in the public sector for State and local governments. As the Assistant Commissioner for Community Development for the New York State Division of Housing and Community Renewal, she was responsible for various state administered programs including HOME and Weatherization Assistance. In addition to her tenure with New York State, Ms. Harris was the Commissioner of Development and Planning for the City of Albany where she was responsible for all of the City’s planning and development activities. Ms. Harris’ extensive development, planning and project management expertise is essential to Norstar’s project success. Ms. Harris is a graduate of Eastern Illinois University and holds a Masters of Science degree in Political Science/Public Administration from Illinois State University. 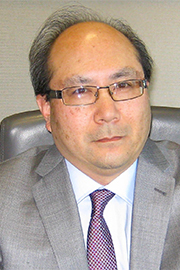 As Director, Planning and Development for the Norstar Group of Companies, Mr. Okawa, accredited as a professional planner has executive responsibility for project management of all types of development applications through initial design inception to full municipal approvals, including hearings at the Ontario Municipal Board. Land acquisitions is also part of Mr. Okawa’s responsibilities with the preparation of property assessment reports and construction proformas that analyze the impacts of local planning policies on future development and assess the highest and best use for potential property acquisitions. Monitoring the extensive landholdings of the Norstar Group also leads to Mr. Okawa fully participating in Official Plan reviews and Secondary Plan studies to strategically align and maximize future redevelopment opportunities for these properties. Mr. Okawa’s extensive planning and land development expertise, and project management skills are essential to the effect management of Norstar’s landholdings. Mr. Okawa is a graduate of the University of Waterloo with an Honours Degree from the School of Urban and Regional Planning that included exchange programs with Oxford University in Oxford, England and Harvard University in Boston, MA. Mr. Okawa is a full member of the Canadian Institute of Planners and Ontario Professional Planners Institute.